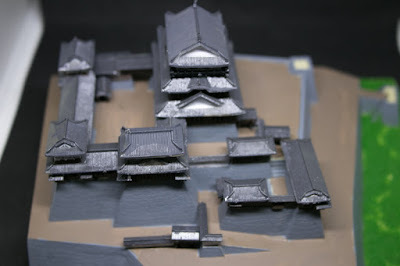 Today not as much as it used to be, Japan is still one of the centers of plastic model industry in the world. Various kind of models are planned and sold, from major motifs such as planes, trains, cars or warships to maniac themes such as fishing boats, arcade game machines, signboards at construction site or restrooms(!). 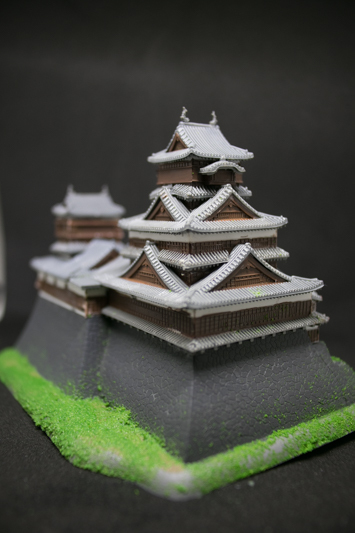 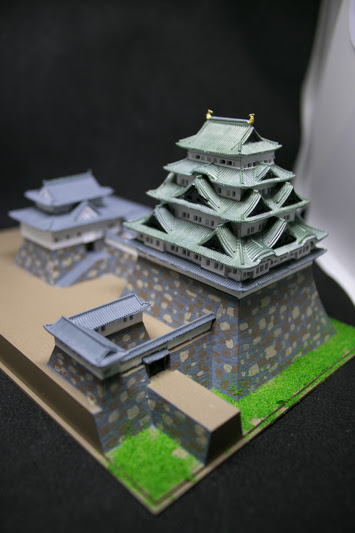 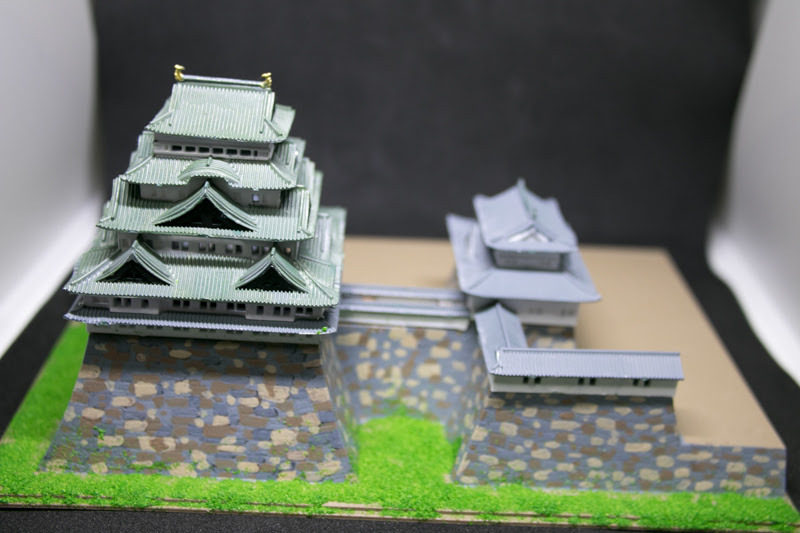 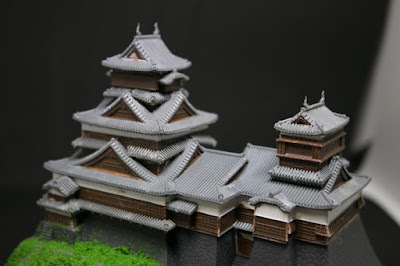 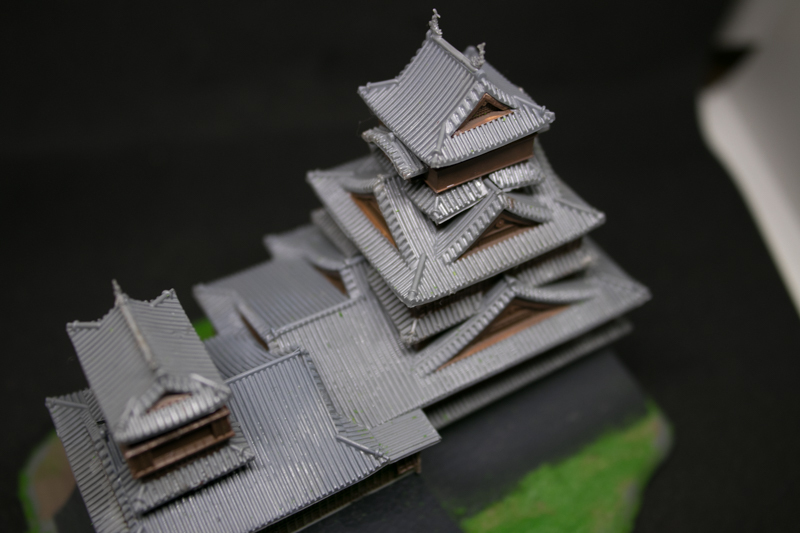 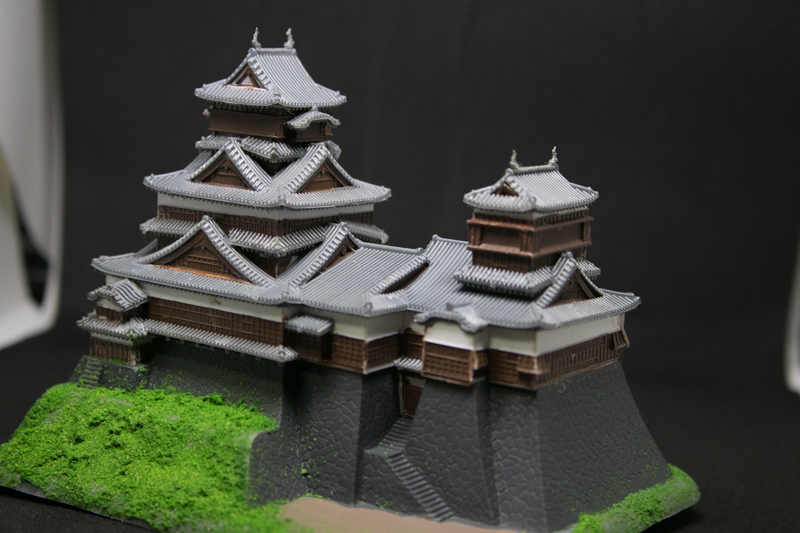 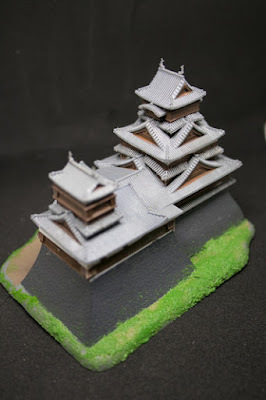 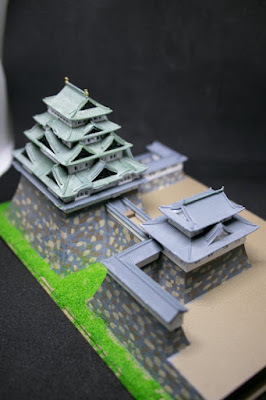 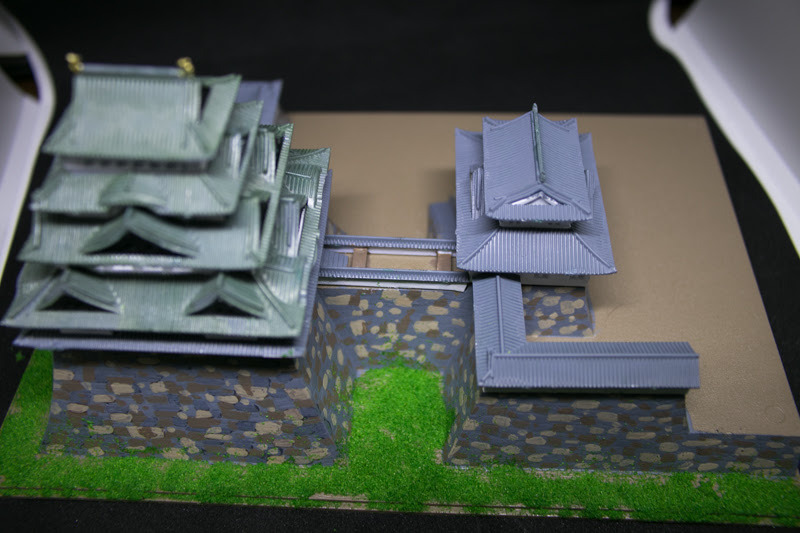 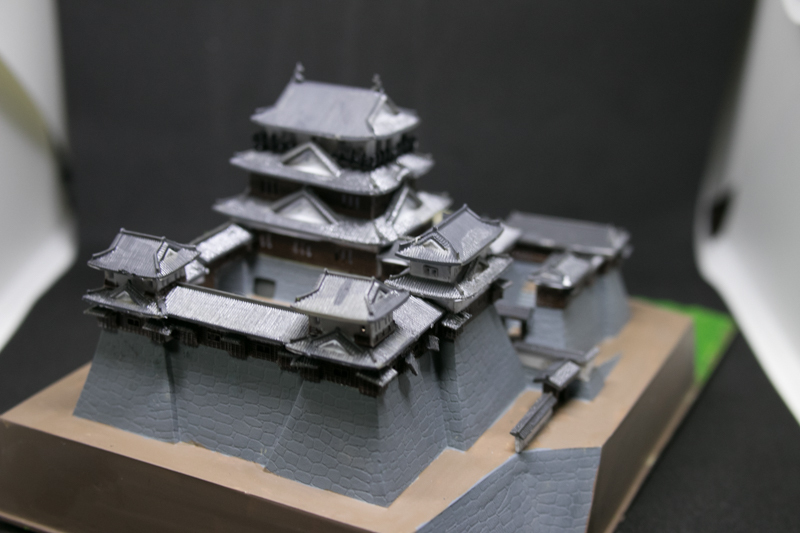 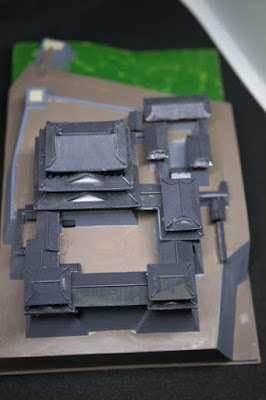 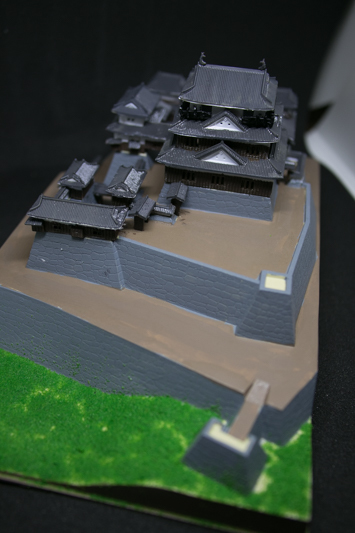 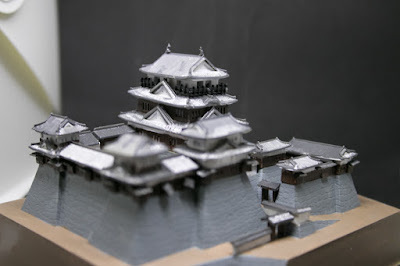 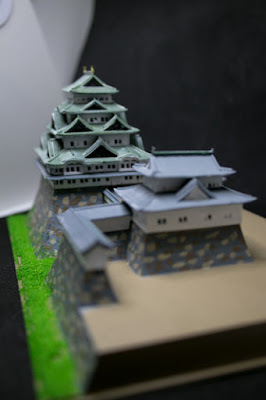 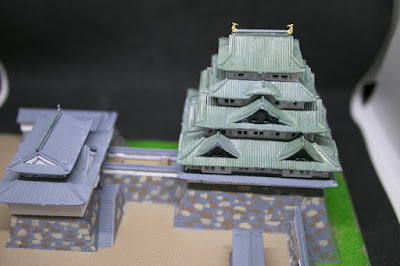 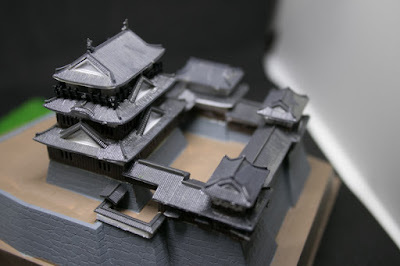 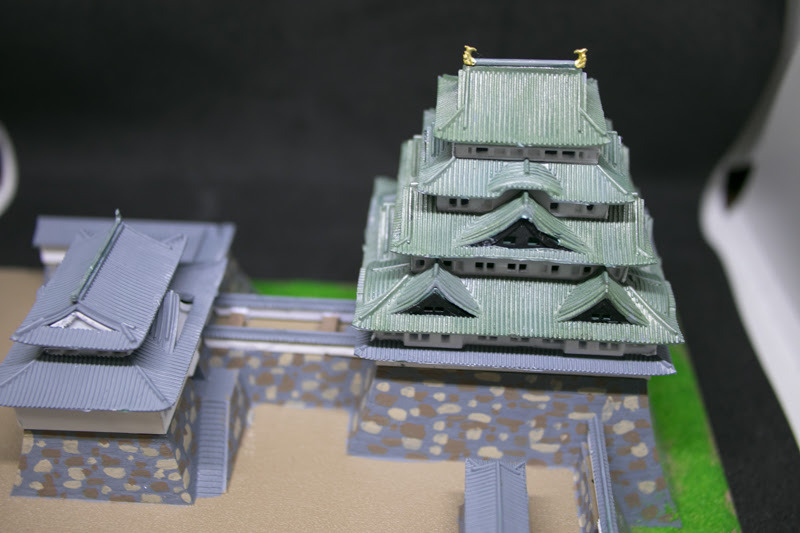 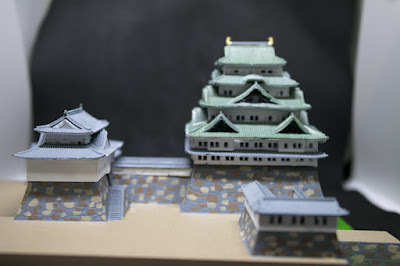 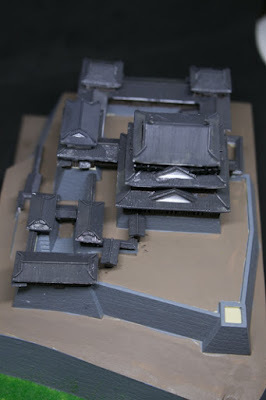 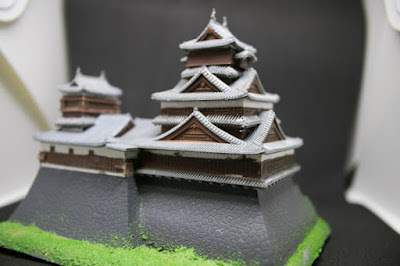 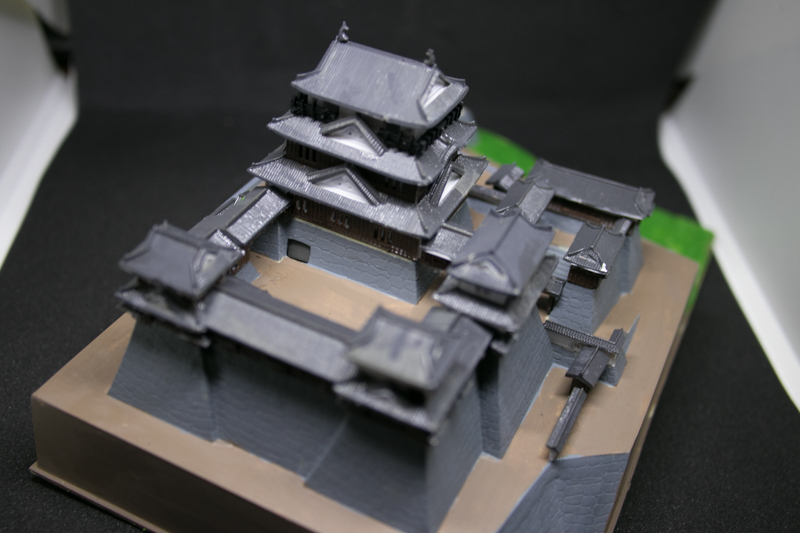 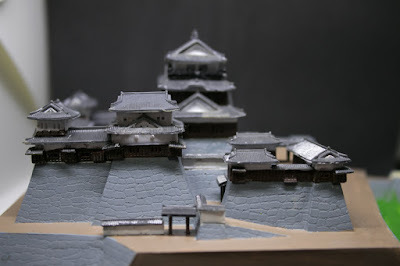 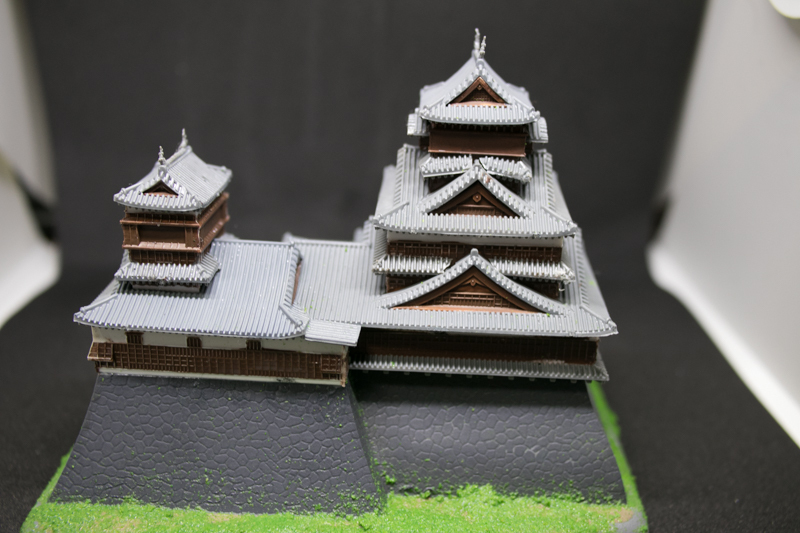 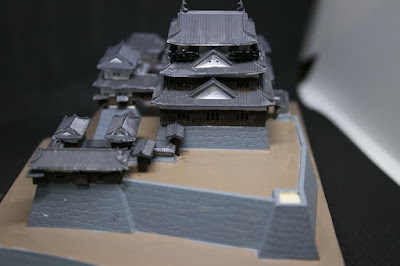 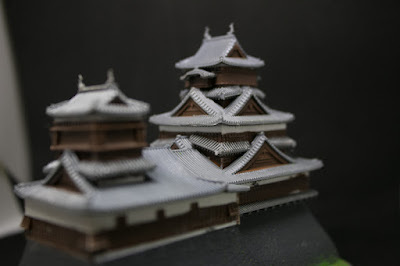 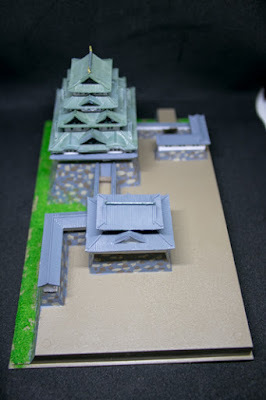 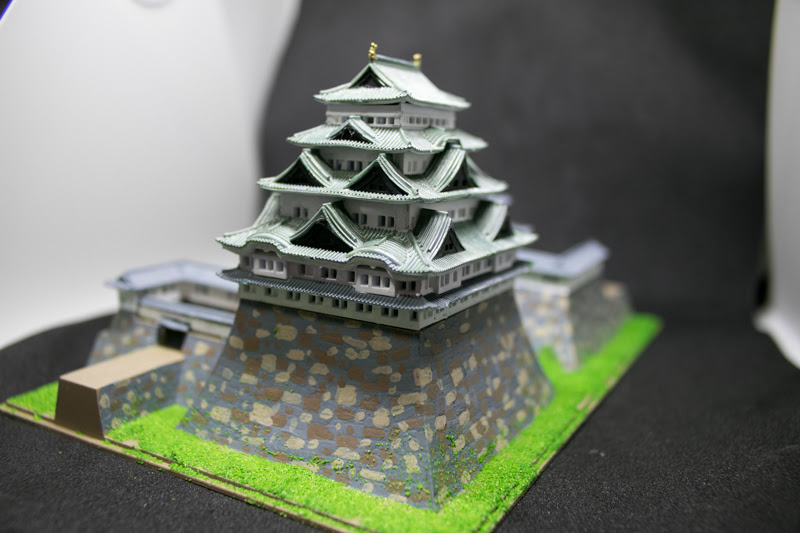 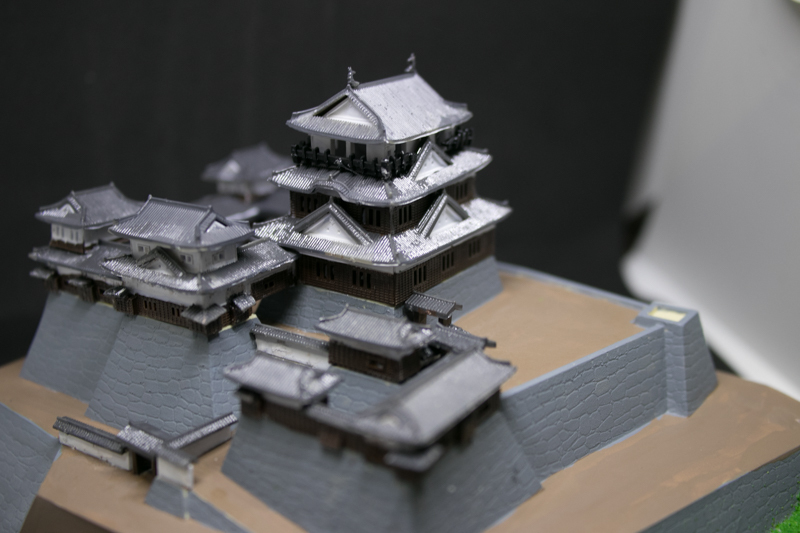 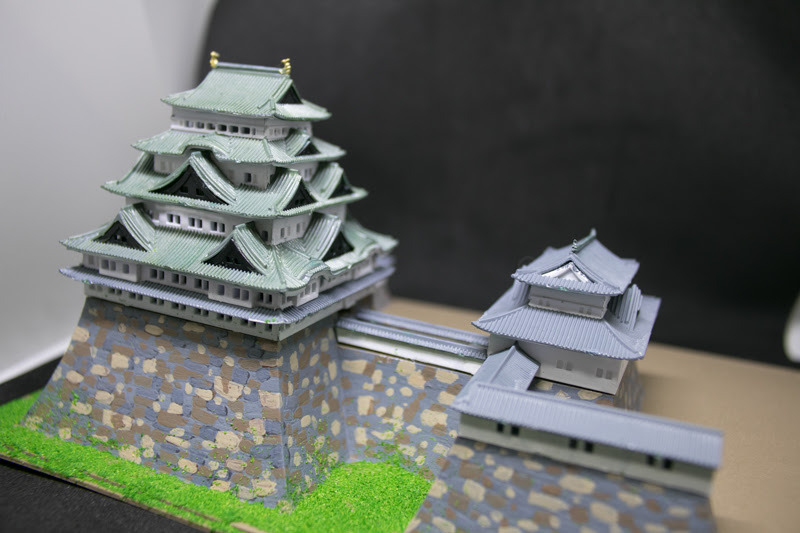 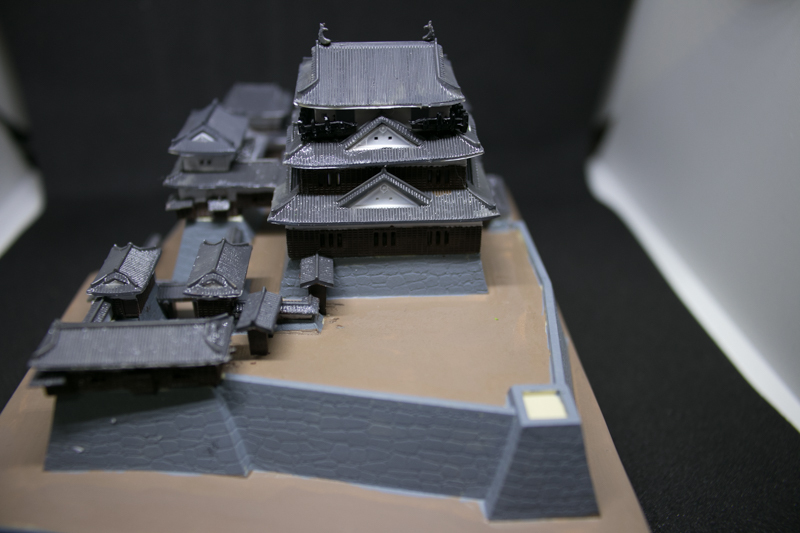 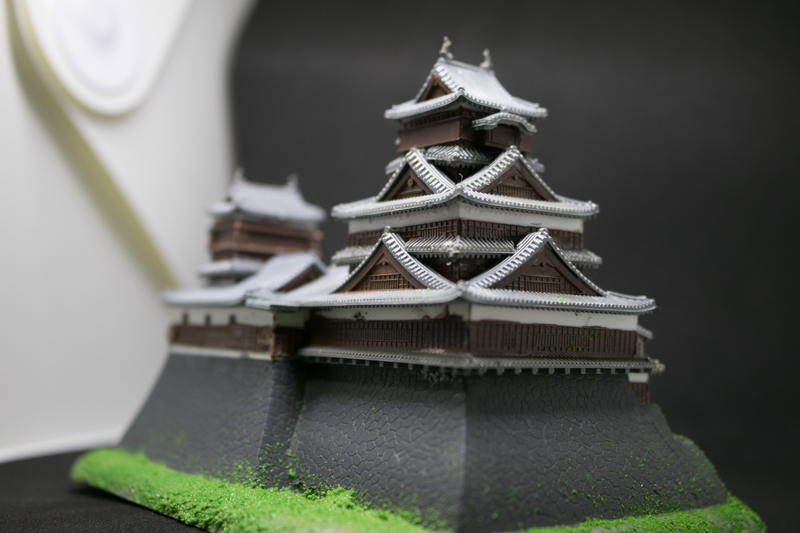 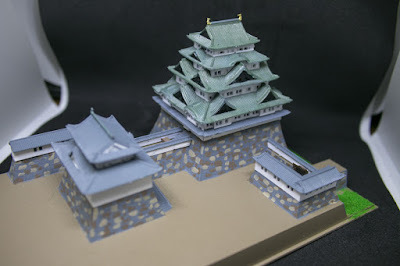 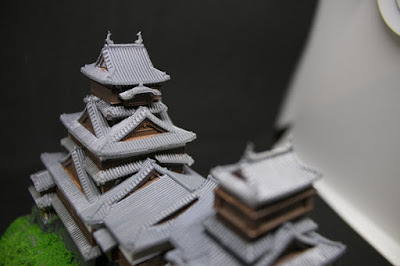 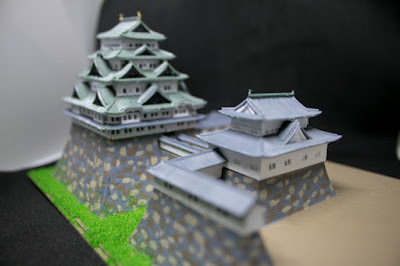 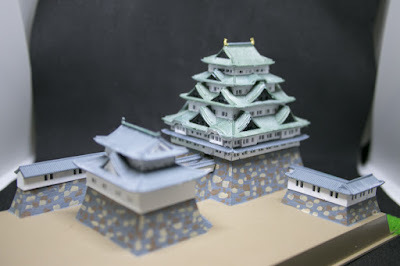 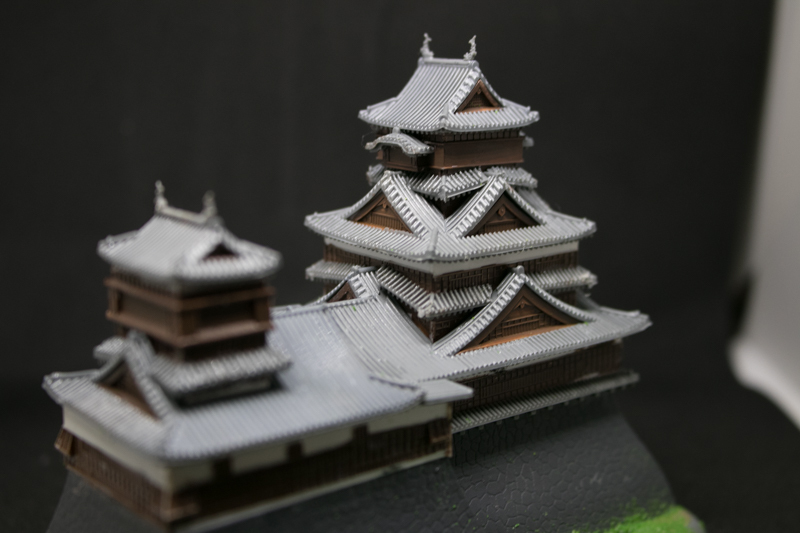 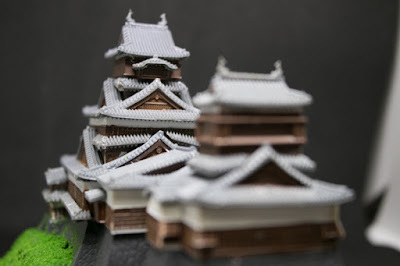 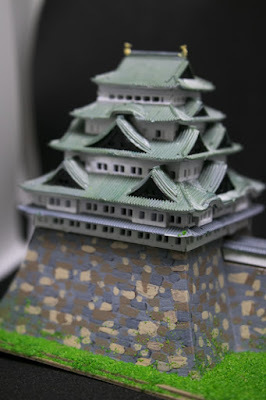 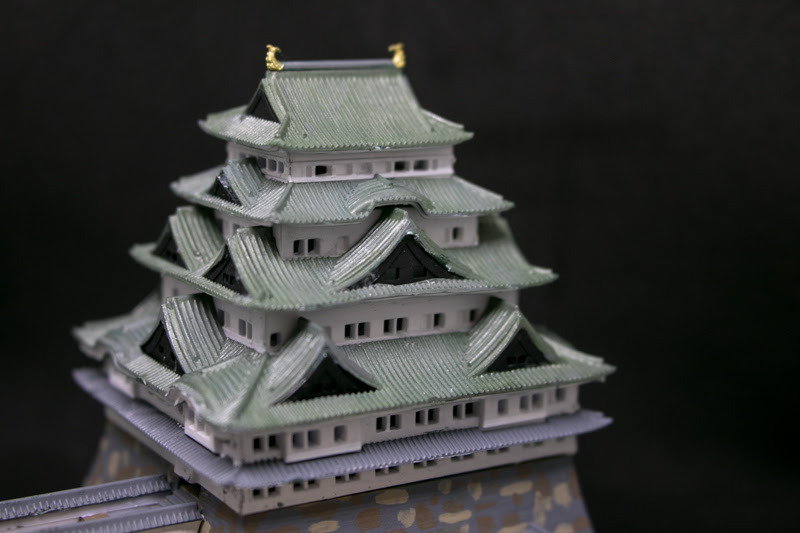 Among them, plastic models of Japanese castles are traditional ones sold over 40 years, both for souvenirs or modelers. 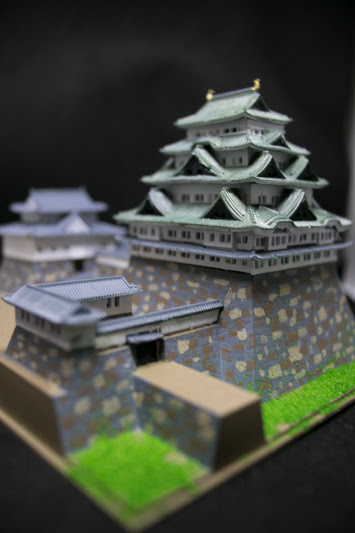 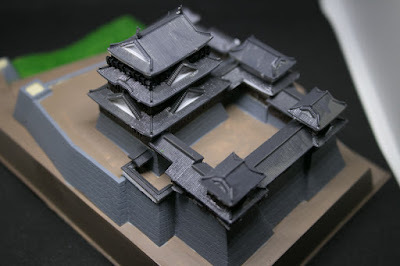 Basically major castles with original or reconstructed main tower such as Himeji castle, Matsumoto castle or Osaka castle are used as it is easy to design and appealing, but sometimes lost buildings are modeled by supposition. There are several kind of castle models from cheap and small model of about 10 dollars from large to detailed models cost about 50 dollars, and moreover precise wooden model priced over 400 dollars. Small models might be assembled in one day including painting, but large models needs several days and much patience for completion. 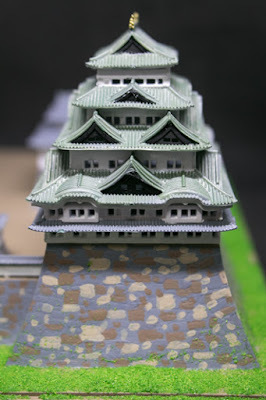 In general, many castles display their detailed and whole part scale models at the castle itself or neighbor museum. 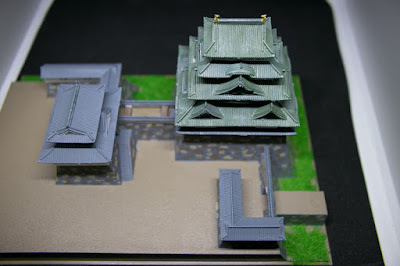 Compared with them, plastic models are not necessarily precise and only displays narrow part. But through assembling models, structure of main tower such as the shape of roofs and walls is well understood. It is also possible to see the tower from unrealistic higher angle, without any restriction of taking photos.